The latest technology in digital signage – such as LED screens, video walls and interactive touch screens – is now widely used by a variety of organisations and businesses to communicate their messages, services or offers. Digital signage can also provide an advertising platform for others, offering the opportunity to reap financial benefits. From schools, colleges and retail environments through to boardrooms and reception areas, digital signage has replaced traditional methods in many cases, providing a versatile option that can be changed quickly and professionally, as required. This means it has dual purpose and can be easily switched to an advertiser’s message if being used as a platform for others to use. The Remark Group explains: “From a welcoming message used in a business reception area, to information about business services or even a local traffic update to help visitors plan their onward journey, the options are endless with digital signage – which is why it is growing in popularity. In addition to the advances in technology, the systems can be as simple or as complex as required – from a standalone screen to a complex, integrated multi-site display. 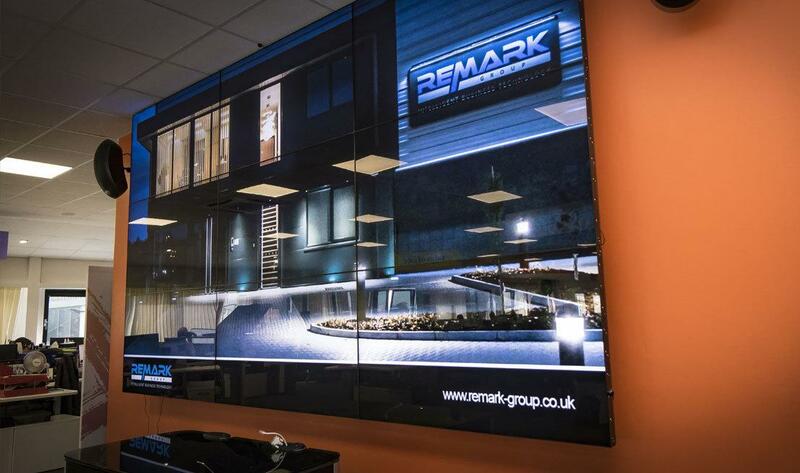 The Remark Group has extensive experience in the area of audio visual services working for organisations across diverse sectors providing full support, from procurement of equipment through to full system and projector installation and maintenance.